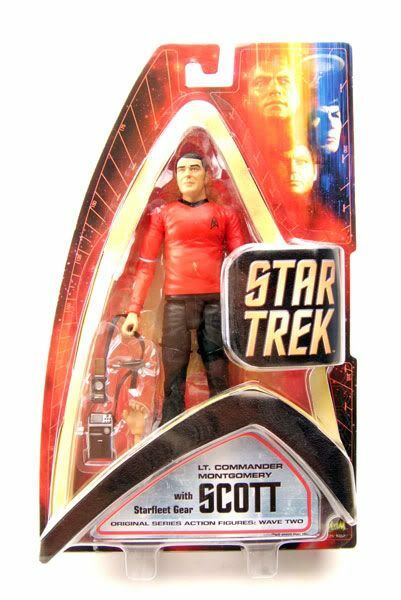 Scotty was released carded as part of Art Asylum's second wave of Classic Star Trek figures. 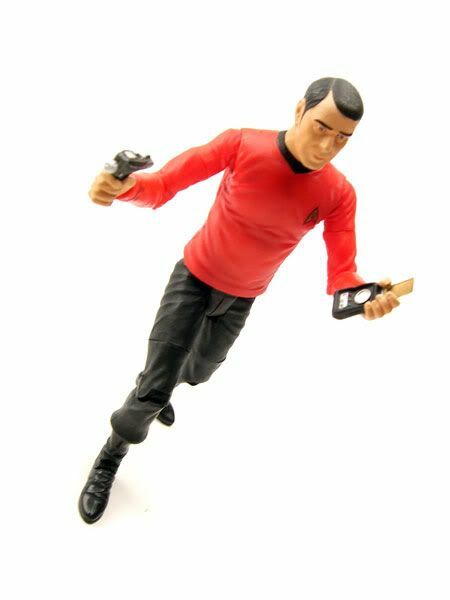 The Rundwon: Scotty didn't make the cut for the first assortment of Art Asylum's Classic Star Trek figures, but he's easily one of the best of the second wave. Yep, that's Scotty. 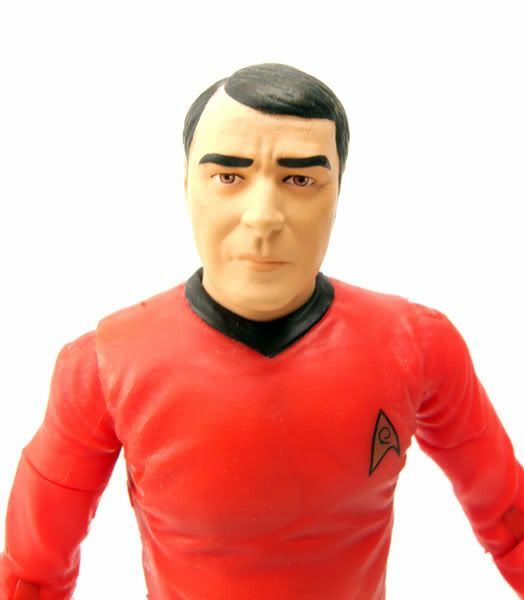 The hair is based off of his haircut from the first 2 seasons of the show, not the close-cropped third season haircut. 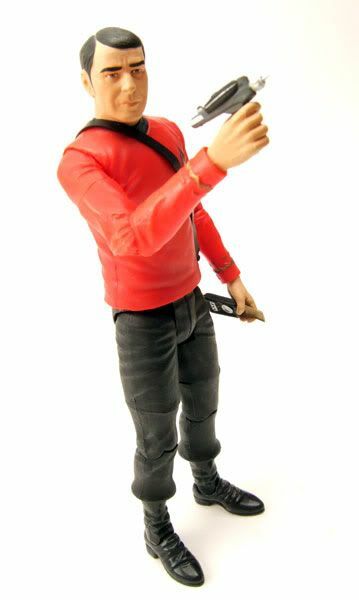 It would have been nice to see the 3rd season sculpt as a seperate figure, but the choice of the first and second season haricut was the right way to go for this frist release. The body sculpt is fantastic and pretty perfectly matches Doohan's build at the time. He's got a great amount of articulation that doesn't break up the sculpt too much. 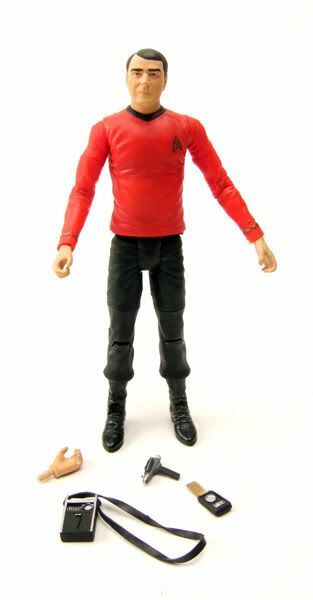 As with the other classic crew figures, the shirt is molded out of a rubbery material that hides the mid-torso articulation. 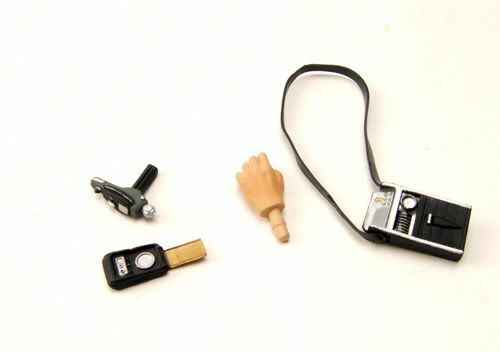 A neat idea, but it may not stand the test of time. Already, the paint on the delta shield on mine has begun to weaken, and the black collar is causing discoloration on the neck. 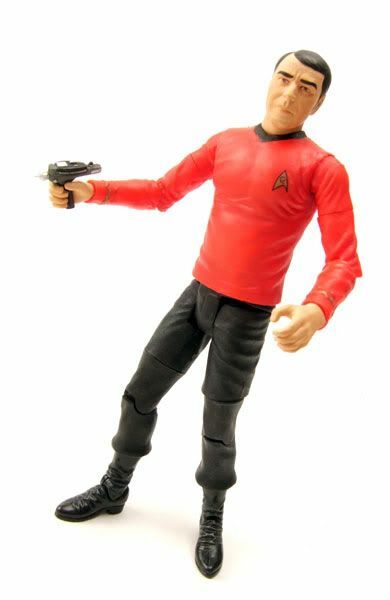 That's a real shame since this figure is just about perfect other than that.